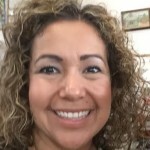 Lucy de Leon was born in Weslaco, Texas in 1978, but didn’t spend much time there. She and her family were migrant workers; they spent most of the time working in fields and travelling throughout the United States in every state except Florida. Lucy’s mother always cooked, not only for her family but others as well. She’d get up early and make tamales andgorditas, go to work in the fields and then sell her delicacies to the other farmworkers for their lunchtime meals. In 1989,they contracted with a cannery as a family, which brought them to Oregon and kept them here for a number of years. In 1994, when Lucy’s dad started to talk about returning to Texas, Lucy strongly objected, not wanting to uproot the stabilityand friendships she’d built in Portland. Luckily, her father found a good job with Market Transport. It felt like he won the lottery. For the first time in his life he got benefits and a pension. Her dad always told Lucy that if she didn’t want to keep working in the fields for the rest of her life, she needed to go to school and get an education, so she did. She received a full scholarship to Portland State University as a pre-med student. 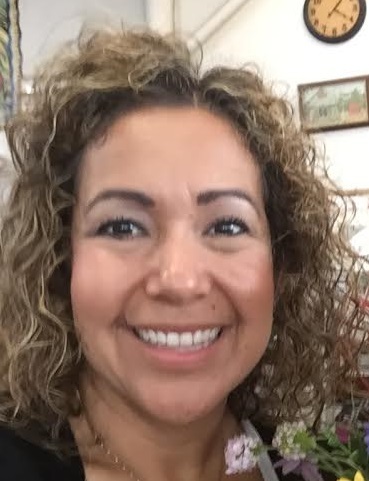 In her senior year, Lucy’s parents sold their house in Texas and opened Tortilleria Y Tienda De Leon in Gresham in 1999, providing fresh tortillas and other Mexican grocery specialties for the growing Latino community. Since her parents didn’t speak much English, Lucy and her brothers helped them get permits and deal with the bureaucracy necessary to open a business. It was a great success, so Lucy decided to take a break during her final year of college to help the family run the store. She’s been involved ever since. Lucy met her husband when she was 15, they dated for 10 years and got married in 2002. They have three sons, ranging in age from 3 to 13. In 2012, while simultaneously raising her sons and managing a business with 17 employees, Lucy went back to college and graduated with a degree in Health Care Administration. Even though Lucy could work in health care, she loves working with her parents at Tienda De Leon. To this day her parents (in their 70’s) continue to cook many of the dishes they serve. Now that their business has evolved to include catering (even Mother’s Bistro’s employee parties! ), and a salsa company called Salsas Locas (available at New Seasons and Whole Foods), Lucy is even more involved. Tortilleria Y Tienda De Leon has been featured on television shows like “Taco Trip” and in magazines, including Travel and Leisure and Every Day with Rachel Ray. Lucy tells us that they were so poor growing up, but it never mattered. Her face lights up when she talks about how her family was always together, her parents always there for her and what great role models they were. She teaches us that it doesn’t matter where or how you live, when you’re with your family, you’re home.